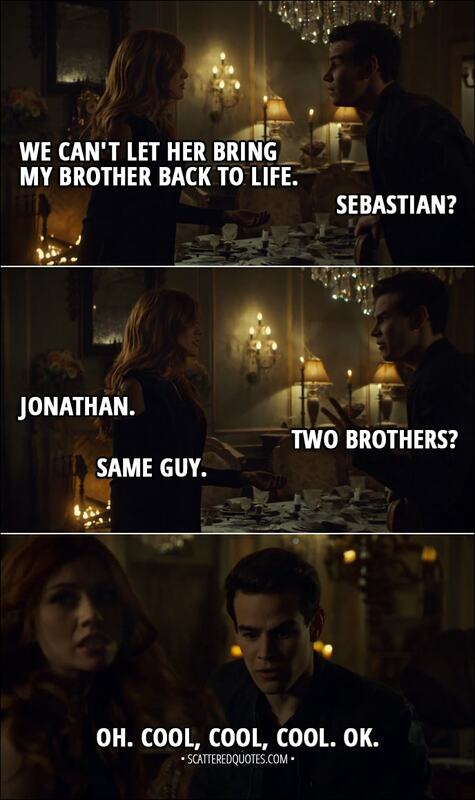 Clary Fairchild: We can’t let her bring my brother back to life. Simon Lewis: Oh. Cool, cool, cool. OK.
5.7.2018 We can’t let her bring my brother back to life.